One of the targets for my weekend trip to the Goschen Blushland Reserve was the Bluebonnet. It is a medium sized parrot that prefers the drier parts of the country. 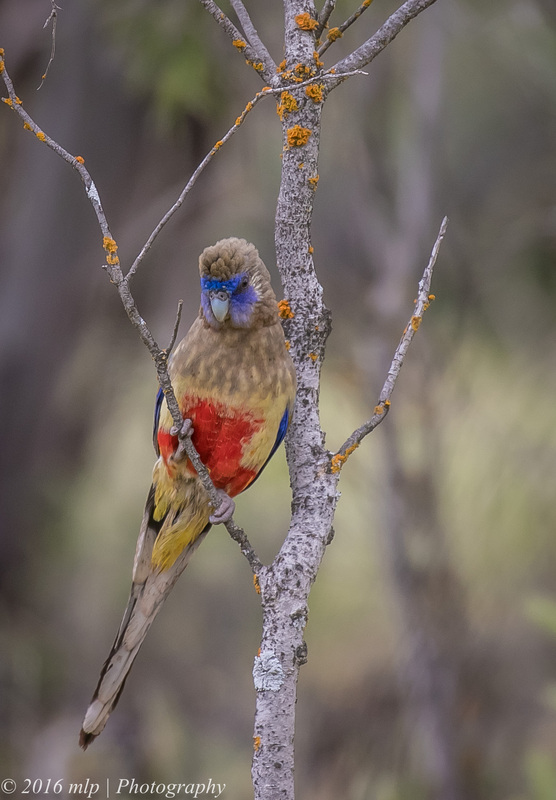 The Mallee region is a perfect place to find them. I saw many flying around the reserve during my three days there but could not get close enough for a decent photo. They feed on the ground looking for grass seeds and flower heads. Once flushed, by movement or sound, will fly up to a nearby tree and watch for a chance to fly back to the food or to fly further away if you walk towards them. They are extremely wary and I never got really close without them seeing me first. I had no luck at Goschen but while photographing the Variegated Fairywrens at Tresco West I found a pair feeding on new grass seeds and they did not notice me. I saw the movement of the grass and froze and when a Bluebonnet poked its head I knew I had a good chance for a photo if I could move quietly and slowly enough. I did not think I would get anything other than a head shot in the grass but while focussing on one I noticed the other watching me from a nearby bush and slowly took a few shots. They finally spooked and flushed but I did manage a few nice shots showing their beautiful colours. 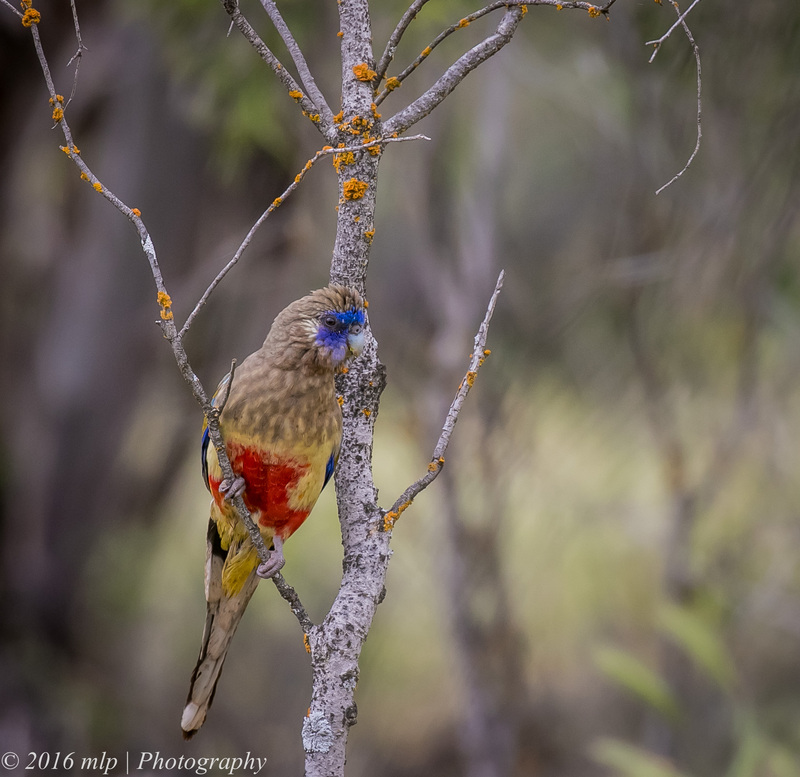 This entry was posted in Birds, Victoria and tagged Australia, Australian Birds, Bird Photography, Goschen Bushland Reserve, Greater Bluebonnet, Mallee, Nature Photography, Photography, Tresco West, Tresco West Busland Reserve, Victoria. Bookmark the permalink. Thanks for the comments Beth, the bluebonnet is a type of arid country parrot, it was part of the ground parrot family as it feeds mainly on the ground but has now been split off into its own family.